Patrick Hardy is an artist/Painter/Illustrator born in Montreal in 1974. At a young age, illustration was his passion. He used it to tell stories or for therapeutic purposes, having been bullied in high school. His art is heavily influenced by the First Nations model of Western Canada; An art that he was exposed to during two visits to Victoria, British Columbia in the summer of 1994 and 1995. Upon his return he completed his college studies in visual arts at Cégep St-Laurent in Montreal. With a diploma in hand, he continued his studies in art history at the University of Montreal where he discovered a passion; the world of improvisation. After having accumulated several jobs and lived several adventures in the big city; where he met his future wife, an Acadian from Moncton. He decided to join her and move to Moncton, New Brunswick in 2002. From their union is born a boy named Samuel, on April 20, 2006. Sam gets diagnosed on the spectrum of autism in 2009. 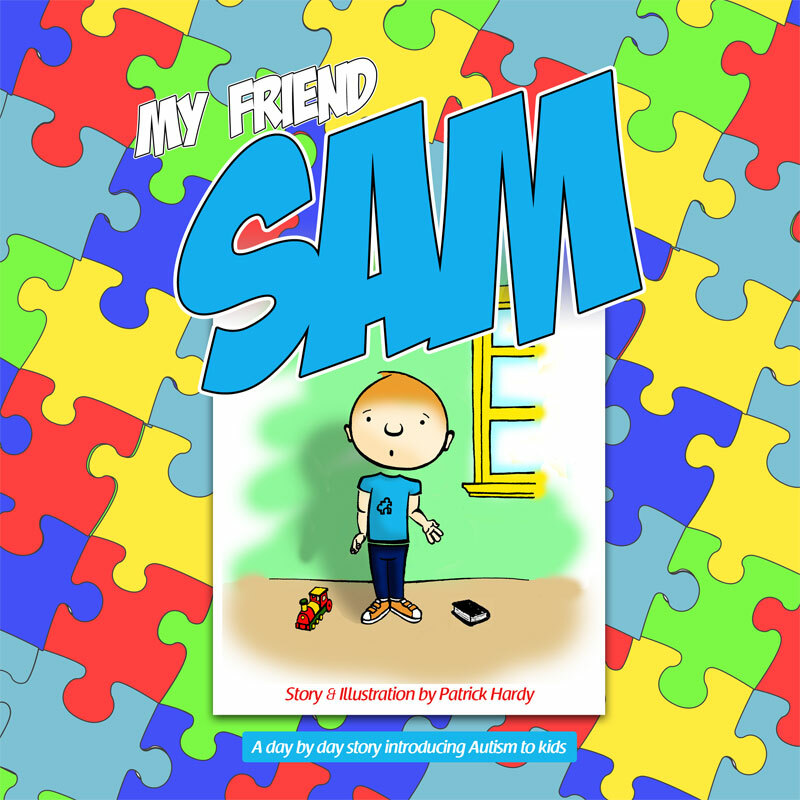 Aware of the lack of awareness of autism in the society in which Samuel evolves; in 2012, Patrick tries to get more people interested in this reality by offering his illustrations. In the first year, although he donated 10% of the profits of the sold works, he raised more than $ 3,400 for Autism Canada. But it was not enough for him, he had to do more to raise awareness of autism. The publication of the series of books entitled My Friend Sam in April 2016 marks the beginning of a complicity and a love story that Patrick and Samuel share. It is expected that the series will include 30 books whose purpose is to explain to children and grandchildren what is the daily reality that a child diagnosed on the autism spectrum and those around them face every day. My friend Sam, a testimony of love. The author / illustrator Patrick Hardy shares the experience that he and his wife have experienced since the birth of their son Samuel. He will talk about difficulties at birth, breastfeeding and difficulty feeding initially, occupational therapy sessions he had to attend when he was six months old, hearing tests and the talk to me program, which led to the autistic diagnosis in 2009. He continues with the adaptations, the fear of the unknown and of the learning that mom and dad have acquired with experience. The good times and the bad times. He will talk about Hebert Centre in Dieppe which not only helped Samuel but also his parents to discern and understand autism a little better. He will also discuss basic teachings, small daily miracles and accomplishments. In 2012, Patrick decided to engage in autism awareness. A small review of his artistic past and of the comments he received on the expression of his art. Sale of works for which a large part of the profits were paid to Autism Canada, i.e. more than $ 3,400 paid in the first year. 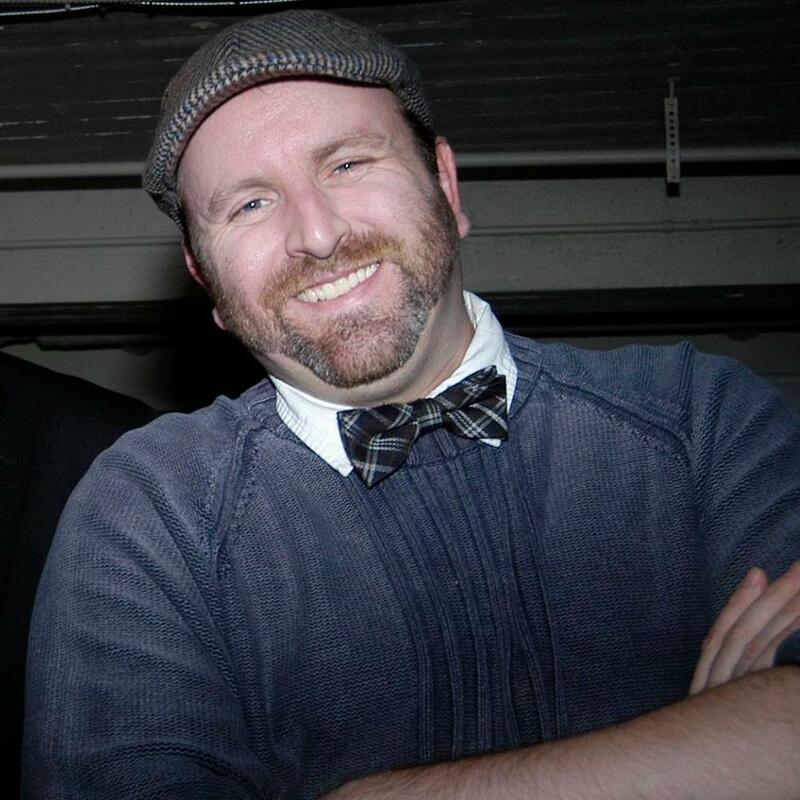 The father/son relationship develops the project of collaboration between Sam and the author / illustrator Patrick Hardy sees the day. It is a question of creating drawings and canvases in collaboration and putting them on sale to the general public. When he realized that sales are stagnating; the author / illustrator is looking for another way to raise autism awareness in homes and schools. It is then, that he starts the book project, in 2014. The lack of experience in this new media (literature) and the time constraints required because he has been working on his own since 2013 are factors that caused delays in the publication of the first book in April 2016. 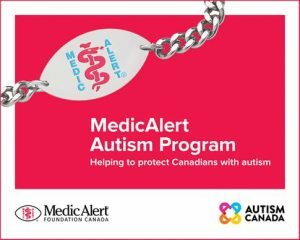 Discussions with Autism Canada. From these meetings and talks resulted a development plan for a series of 30 books of which 21 subjects were proposed. 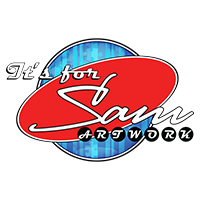 The author / illustrator then created a website: http://www.myfriendsam.ca for the book series. In addition, on this site, it informs the general public of the statistics on the prevalence of autism. 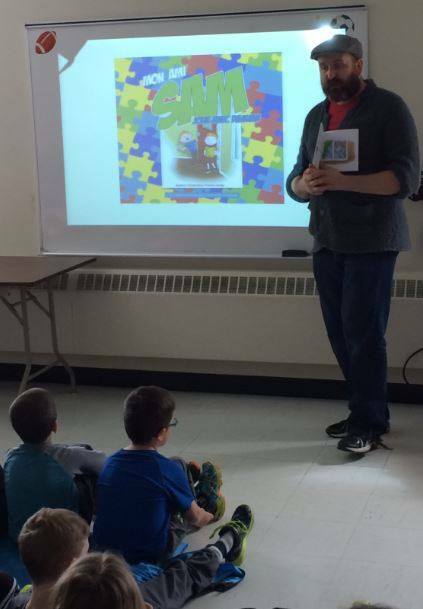 He hopes that all books will be available throughout elementary schools across the country in order to bring a little more support to the cause of autism awareness. 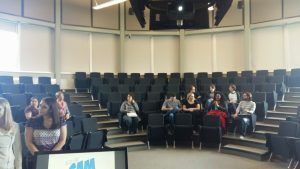 During this time, the author was invited to several radio programs on CFAI in Edmundston, 90.7 BO FM and Radio-Canada La Première Chaîne, in Moncton. Several newspaper articles in “Acadie Nouvelle”, “L’Étoile”, “Times and Transcripts” and some newspapers in Truro, Nova Scotia. He was invited to the show “Méchante Soirée”, hosted by Samuel Chiasson on Radio-Canada Télé and had some television interviews on the same channel. The author / illustrator will present his books, comment on their main subject and read an excerpt. It will also give an overview of the topics to come in the next books. Subsequently, the author will offer a signing session for books sold. Target audience: The author can adapt his presentation to the age group he meets however he favors visits to the classes of students of the grade level of the first to the third year. Number of students per workshop: Ideally, one class at a time. Students will have the opportunity to see the illustrations more closely and ask questions at the end of the presentation; Intimacy encourages exchange. Sequence: With some framed works and some illustrations, Patrick Hardy meets the students in the schools to present his two books: My friend Sam and My friend Sam a play date with Damian. He tells them the story of Sam; A truthful story about the difficulties of autism as well as different aspects of the spectrum of autism. Like the characters in the two books, the author seeks to demonstrate that the perception of a work is different for each person in the class by presenting certain works to them. He explains the technique he used to create the two books. Why doesn’t Sam have a neck? He explains to them the technique of drawings with which he has worked for 30 years and tells them about a discovery that allowed him to create works with his son diagnosed with autism. He presents some works made in collaboration with his son, some are framed and he talks about the relationship that developed between a father and a son through illustration and creation. The author encourages young people to tell stories in illustration. It is then that he proposes an exercise of creation through a drawing begun by the author that he asks the students to finish. When the students have completed the exercise, they present their work (story), if there is time. Technical Requirements: A table or some desks just to drop a portfolio. A computer and projector for a Powerpoint presentation as well. Materials for teachers: At the end of the presentation, the author will provide the teacher with a start of illustration to complete at home, the author will complete the illustration and will contact the teacher so that he can present it to the class. Contact me for a quote request for classroom or conference presentations. I will be happy to reply as soon as possible and be pleased to speak at your institution and to promote autism awareness.